Should You Put Vaseline (Petroleum Jelly) On New Tattoos? Whilst Vaseline is a product that many people would generally associate with being good at protecting and healing wounds, it is actually a very bad product to use on a new tattoo. When tattoos are new they're essentially just large open wounds, and in order to heal quickly and efficiently, these wounds need plenty of fresh, oxygenated air. 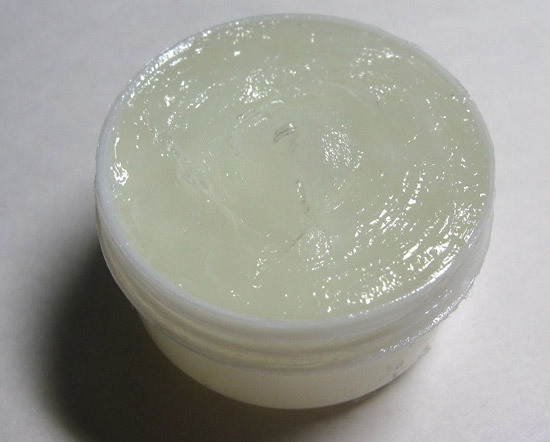 However, vaseline is very thick and non-porous, meaning that when applied to a tattoo, it will create an air lock around the tattoo, preventing precious oxygen from reaching the wounded skin that requires it in order to repair itself. Without generous amounts of fresh air due to the thick vaseline, the tattoo will generally take much longer to heal. Not only this, but when applying a thick layer of vaseline onto a tattoo, it will create a moist, humid pocket of trapped air between the vaseline and the skin, which is actually the perfect environment for germs and bacteria to thrive and multiply. 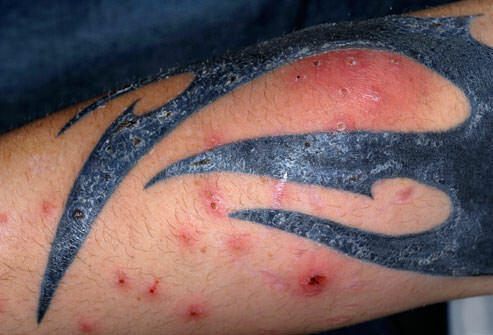 These germs and bacteria are extremely dangerous to a new tattoo as any new skin wound is extremely vulnerable to potential infections, which can cause lasting damage to your tattoo if not treated fast enough. Another reason not to use vaseline on a new tattoo is that it can have undesirable consequences with regard to the tattoo ink if used too much or kept on for too long. This is because vaseline has actually been known to draw ink out of the lower layers of skin before it has had the chance to set, potentially creating areas of fading and patchiness. 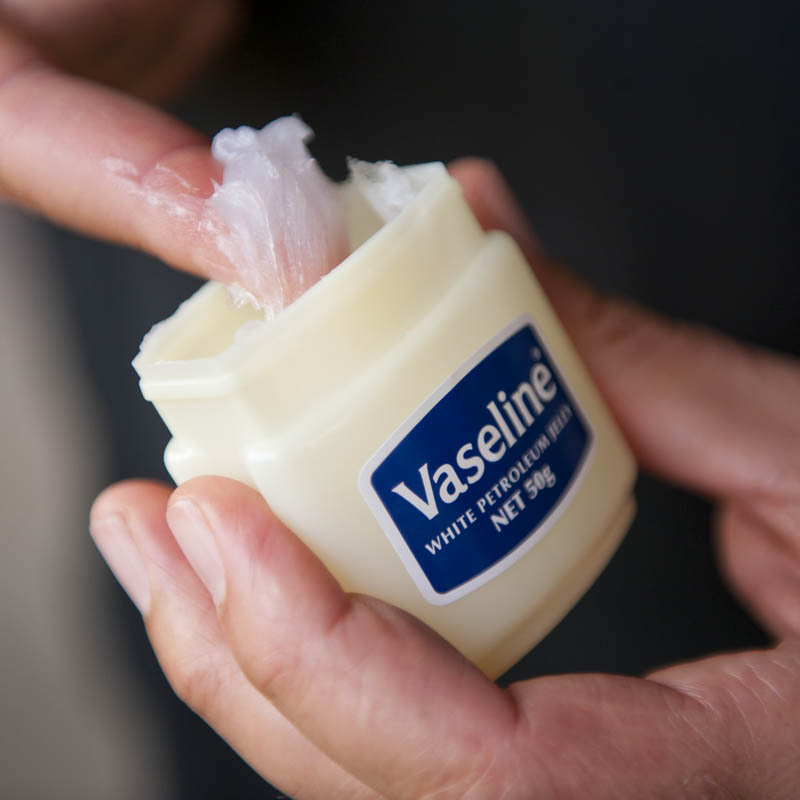 You should also be aware that vaseline and other petroleum-based products can actually break down materials such as latex and nitrile (rubber) in as little as 20 minutes. 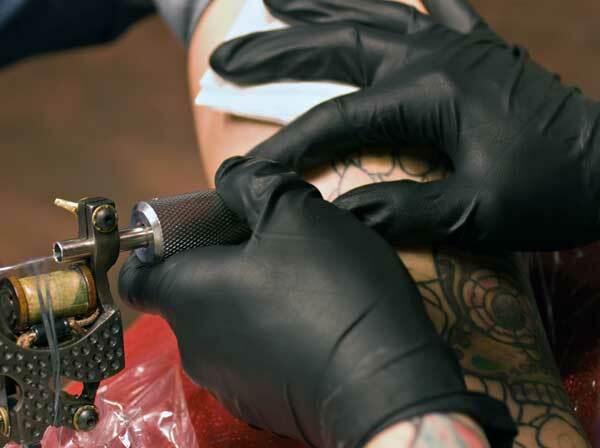 This means that tattoo artists using gloves made from these materials, and who are also using vaseline during the tattooing process could actually be transferring bacteria and other pathogens from their bare hands to your wound without even knowing it. Although this breakdown of materials will not be visual to the eye, the structural changes within the glove materials will begin to allow microscopic particles to transfer through them. This is not to say that any artists using latex or nitrile gloves and vaseline are unprofessional however, as most artists tend to change gloves extremely often throughout a tattooing session - and will therefore normally change gloves before any materials begin to break down. When Should You Use Vaseline On A New Tattoo? One way that vaseline can actually be useful during the tattoo healing process is by guarding the tattoo during showering. Although a new tattoo is fine to get wet in the shower for a short amount of time (generally less than 10 minutes), vaseline can be applied to a tattoo if you invisage yourself having a shower for a longer duration. Because vaseline is non-porous (watertight) it can be applied over a tattoo before ﻿g﻿etting into a shower and it will protect the area from any water that may spray against it. Vaseline will hold up very well as long as a strong water jet isn’t blasted directly onto the area. You should also remember that you shouldn’t be bathing (or swimming) with a new tattoo as this can lead to multiple problems just as potential fading and infections. You should only shower until your tattoo has scabbed and fully peeled (2-3 weeks). Once out of the shower you should clean the tattoo using lukewarm water and an unscented soap to get the vaseline off before proceeding to pat the area dry with a clean paper towel. You should then proceed to apply a suitable ﻿﻿tattoo healin﻿﻿g lotion in order to keep the area well hydrated. What Should I Use On My New Tattoo Instead Of Vaseline? There are many lotions, creams and ointments available that are suitable to use on a new tattoo. However, you mustn’t use anything that contains strong or harsh chemicals or ingredients as these can cause damage to the sensitive area. Products containing artificial scents and colorings can also cause problems as they are commonly known to cause irritation to new tattoos. However, most skin-sensitive lotions that contain natural ingredients are generally fine to use on new tattoos due to their lack of artificial additives or harsh chemical ingredients. Even natural fats such as coconut oil and cocoa butter are popular choices amongst people who prefer a more organic aftercare routine. Finally, there are also many products on the market that are created specifically for use on new tattoos. These products contain carefully blended ingredients that when applied to your skin will help to nourish the area and allow the tattoo to heal more quickly and efficiently. They are normally extremely absorbent and very soothing on the tattooed area to help ensure that it remains moisturized and less irritated (which can often aid the prevention of the dreaded ‘tattoo itch’). What If I’m Already Using Vaseline On My New Tattoo? You can’t change the past, so if you’re currently using vaseline on your new tattoo while reading this then just stop using it and begin to use a product that is more suitable during the tattoo aftercare phase. If you’re worried about any damage that may have been caused by using vaseline on your tattoo then wait until the area is completely healed before checking carefully for any signs of patchiness or fading. If you come across any areas that you think are damaged then get in contact with your tattoo artist, who may agree to touch-up your tattoo (at their discretion). 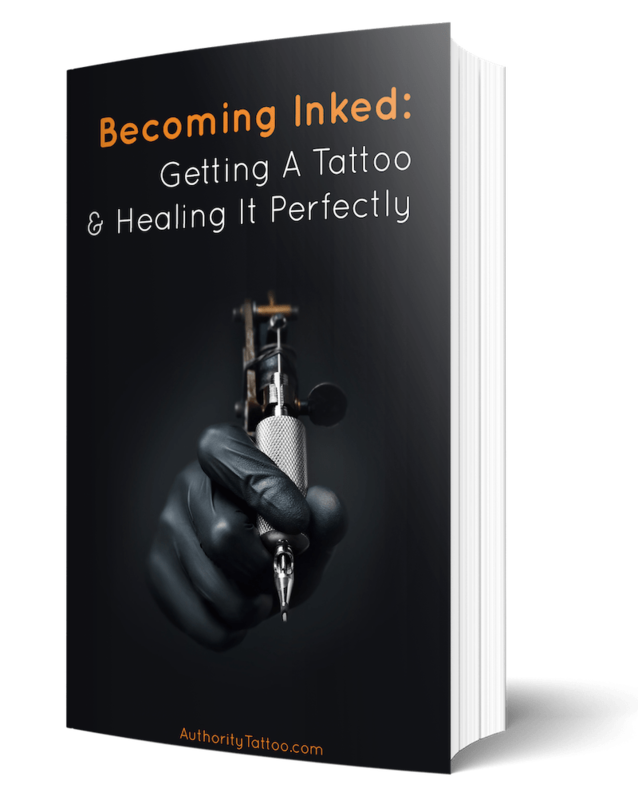 Touch-ups are generally free for previous customers, although tattoo neglect during the healing process can lead to a charge being required for the work. Whilst vaseline has many useful benefits, it should never be used regularly on a tattoo during healing due to being able to potentially stave the area of oxygen, draw ink out of the tattoo and even cause infections. Whilst vaseline can be good at temporarily shielding a tattoo against water in the shower, it should definitely not be used in the long-term. Utilizing other, more suitable creams and lotions on your tattoo during the aftercare phase should allow the sensitive skin to continue to heal and regenerate at a good, quick rate while allowing the tattoo to remain well moisturized and nourished. So if you’re reading this and still using vaseline on a new tattoo - please stop and try something else, and hopefully your ink to continue to heal as it should and flourish into something amazing.